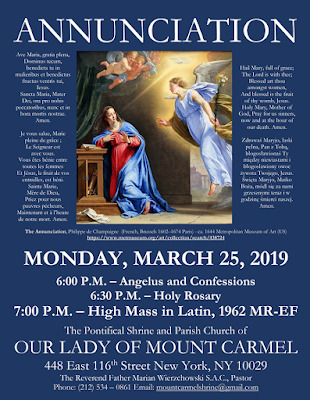 On Monday, March 25th, the Pontifical Shrine of Our Lady of Mount Carmel in New York City will celebrate the Annunciation of the Blessed Virgin Mary with a High Mass in Latin, starting at 7pm. 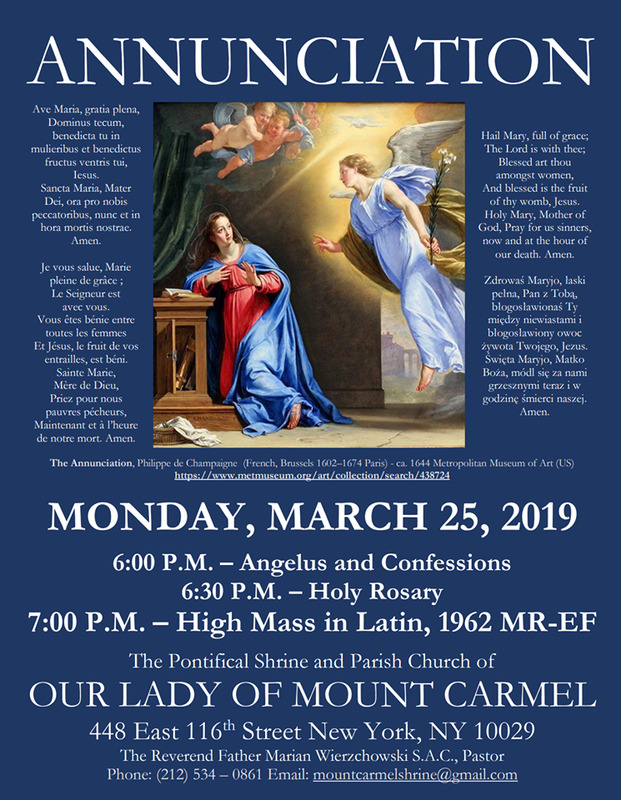 The Angelus will be said at 6pm, and the Rosary at 6:30; Confessions will be heard in the hour before Mass. The church is located at 448 East 116th St in Manhattan; visit the parish website for other announcements of upcoming events. 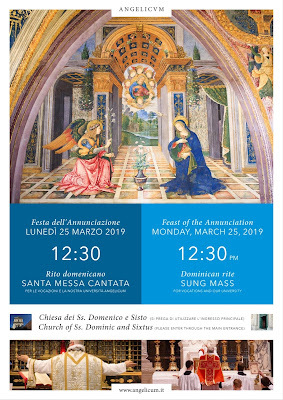 A Missa cantata in the Dominican Rite will be celebrated on the feast of the Annunciation at the church of Ss Dominic and Sixtus, which is right next to the Angelicum University in Rome (Largo Angelicum 1), starting at 12:30 pm. A traditional Mass is celebrated at the same time in the church every Tuesday in the Roman Rite, and every Thursday in the Dominican Rite.